Lois has always been an advocate of minimalism, accidental or otherwise. Chichi also learned that when it comes to material possessions, you gotta: Keep, Give or Sell. Keep the ones which you absolutely love and can’t live without. Sell or give away the rest. And that's exactly what we're doing on October 1st! We're GIVING AWAY our stuff. Well, for a low low price that is. Just follow the MRT till you reach SM North Edsa Station. Continue to left and take the first U-Turn. Take U-turn then right to Bansalangin Street (landmark: MiniStop). Turn left at the first intersection till you reach the dead end then turn right. Count 3 houses and you're there! Just follow the LRT till you reach Roosevelt Station. Continue straight till you reach Bansalangin Street (in front of SM Annex) and turn right (landmark: MiniStop). Turn left at the first intersection till you reach the dead end then turn right. Count 3 houses and you're there! Paul of www.walkflypinoy.com is a twenty-something Filipino born and bred in the big chaotic capital of Manila in the Philippines. I am a Spanish translator and will continue to be one, only freelance this time, while I embark on the biggest adventure of my life thus far. I had a travel dream I had many years ago. I dreamt that I'd get a scholarship to study in Europe and make it my jump-off point to explore the rest of the world. Sadly, that never happened. After every failure, I grew frustrated. The stars just never lined up. I started doing small trips here and there. Then I started planning my own travels. That was when I realized that I never really needed a scholarship. The fulfillment of my dreams does not and should not depend on anybody else other than myself. I got tired of wishing. I took matters into my own hands. So I decided to backpack Asia for six months. I am doing it because travel is one thing I’ve been sure about, something I’ve been chasing for a long time now. At this point in my life, anything else is just unthinkable. Angelica of http://www.anggeturns26.com/ is an accidental traveller and a (soon to be ex) banker who is slowly making her dreams come true. I am quitting my job this September. My work, for the past five years, has been defining my whole life. 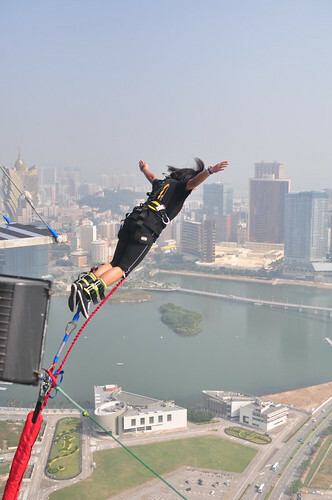 Now is the time to take risks and to make one of my travel dreams come true! 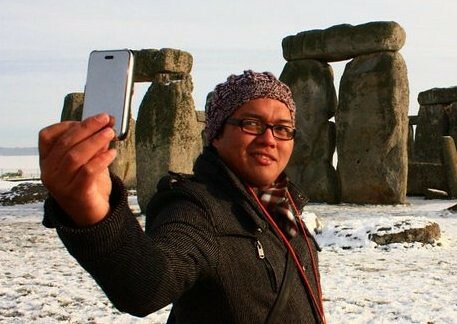 Being a traveler was not on my 'what-I-want-to-be-when-I-grow-up' list. I worked hard to become the person other people wanted me to be. But I became unhappy. It was an afternoon in 2008 that eventually lead me to reassess the life that I've been living. I almost drowned when I got towed by an underwater current. I promised myself that I will give more importance to the people and experiences that make me genuinely happy. I made the decision to pursue happiness. I finally quit the job that has been taking over my life. I saved up and prepared for a major trip- to experience India, see the Himalayas, and backpack Southeast Asia. 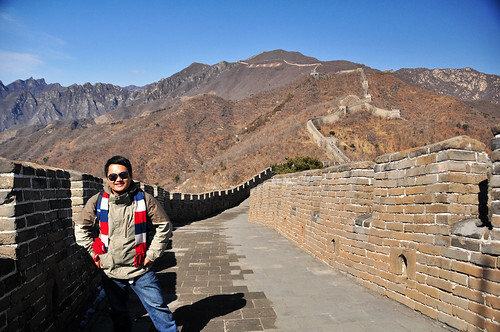 Traveling has not only introduced me to a better life, it has also taught me more about myself and my capabilities. And if you've found something like this, you should always make a conscious effort to pursue it and live it. Shoes and bags, but mostly books. Jonna of http://www.thebratpacker.com is a certified BRATpacker- not as shabby as the backpacker, but not as privileged as the jetsetter. 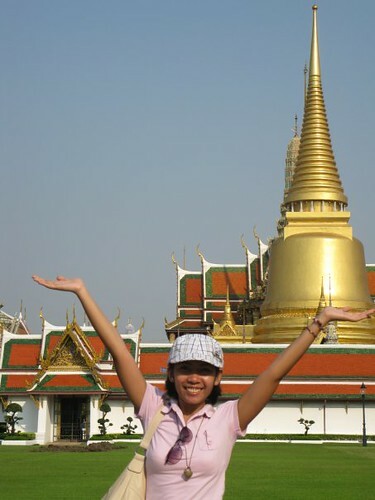 Karen of tipsntravels.blogspot.com is a software developer, a non-regular runner, a verified couchsurfer, a frustrated singer and a travel writer. I'm planning to do a career break next year for three months from June to August of 2012. I want to take a career break, visit my sister and some friends on the cities I plan to drop by and also to finally fulfill my dream to travel around Europe! Ralf of www.myfootprintsmylife.com is one of the Filipinos we've met in Chiang Mai, Thailand. He's one of the couchsurfers who have welcomed us to this adventure-filled city. I was diagnosed with a health condition called Idiopathic Thrombocytopenic Purpura (ITP) back in February 2010. I was told that I am at risk of chronic myelogenous leukemia. Doctors suggested I undergo treatment immediately (chemotherapy and bone marrow transplant) but could not guarantee even a 50% chance of eradicating the conditions. I was alone when the doctors gave the news and it wasn't easy: I thought I'm dying really soon. I went through the stage of denial and just went on with my life. I realized that I have limited time and decided to see the world while I still can. I suddenly feel the urge to see the places I have only seen in movies and read in books. Instead of spending money for treatment, I decided to go traveling. First stop is Europe: 35 Countries in 12 months non-stop traveling. I will do couchsurfing and hitchhiking on a limited budget of 400 Euros a month. This adventure will be my legacy to the people I've met in my lifetime. 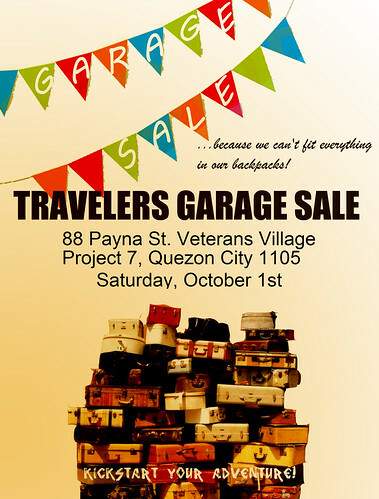 These are just some featured travelers who will be participating in TRAVELER'S GARAGE SALE on Oct 1st. And although this sale is from travelers, it doesn't mean it's all travel stuff! There will be photography equipment, fashion steals and even basketball shoes! I will also be selling my North Face 45L Terra backpack since I want to get a smaller one. (A girl doesn't need so much in her backpack, after all) I will also sell old clothes, bags and camera bag. The proceeds will go to a 21 DAY PHILIPPINE CHALLENGE that Chichi and I are planning soon. ChiChi! Are you going to have another one? You didn't tell me it was gonna be so soon. :( I'll be in Cebu this Saturday. wow! ill be in UP Diliman during that day. seems like ill be able to drop by. would you know from what time till what time is the garage sale? We're talking about continents apart here Gaye. Sayang. But we may do another one soon, depending on the outcome. Thanks so much Mica! Yes, please help us promote this project. We love for that! That's too bad Aleah. Hope we can organize another one soon. Great Dong! Please drop by. This event is from 9AM-5PM. See you there. We look forward to finally meeting you! We had to speed it up Jai-ness! We'll let you know about the next one, pramis! too bad my session in UP will be on the same schedule until 6pm. let me know if there will be a meet-up after. That's too bad Valerie. Helping promote this project is more than enough. Thank you! No worries Paul. We should all help each other achieve our travel goals. Thanks for helping us promote this! See you in Saturday Marky! We're very excited too Jonna! But more to meet you guys and make chika. See you then! I'm really really excited for this! Woooohhoo! Thanks for your enthusiasm and for being part of it. See you Karen! This is great. Whoever taught of this is a genius. Haha. Planning to be there! Thanks for the support Gael! See you soonest! We'll see you there Camilla! We had fun putting it all together Angge! See you and Paul this Sat! Thanks so much for sharing this and for the invite to your hometown! We love that more Pinays are also Journeying. Hope you continue to realize your chilhood dreams and keep those itchy soles walking! Hey Bridge we look forward to meeting you tomorrow! Who knows? There might be some impromptu story-telling from the travelers. congratulations! so good that i had the chance to drop by. nice meeting the travelers! and finally meeting Lois!